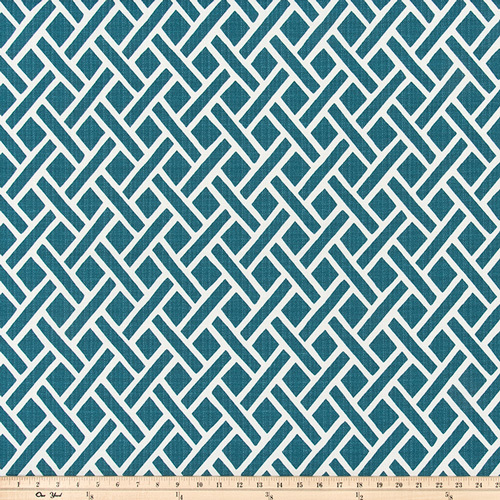 Trellis design printed on medium weight outdoor fabric suitable for patio cushions, decorative toss pillows or other outdoor decorating projects. Screen printed in the USA. 1,000 hour UV protection and advanced water, oil, and soil resistance technology. This cloth is a heavy weight, two-way slub yarn that shows amazing color and texture.